Undefeated Russian UFC fighter Khabib Nurmagomedov faces Michael Johnson at UFC 205 in New York on Saturday, aiming to prove he deserves a shot at the lightweight title. 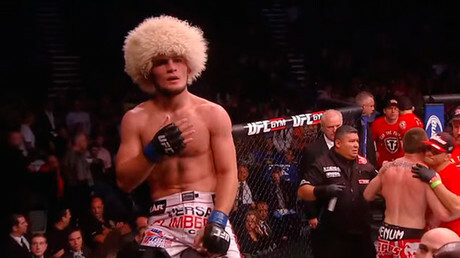 Following his impressive victory over Darrell Horcher last April, the 28-year-old Nurmagomedov, who stands 23-0 in professional MMA, thought he would get his chance to claim the belt. However, Conor McGregor's desire to become the UFC's first simultaneous two-weight title holder has seen him leapfrog the unbeaten Russian into Saturday's co-main event against Eddie Alvarez. 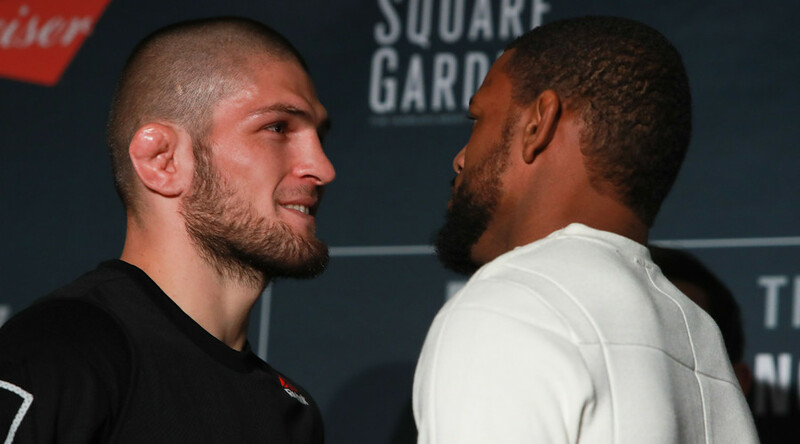 During Wednesday’s Ultimate Media Day at The Theater at Madison Square Garden, Nurmagomedov admitted he wants to put in an impressive performance against Johnson to secure a crack at the title. "I hope [to get a shot] – but nobody knows," he said. "I have a tough opponent and I have to focus on Michael Johnson. "Michael is not an easy man, he's got very fast hands, and I'm going to try to finish him and then fight for the title. This is my plan. But this is up to [whoever] wins – McGregor or Alvarez. "If McGregor wins, I don't think he'll take this fight. I hope Alvarez wins, because if Alvarez wins, he's said he wants to fight with me. And that's why I hope he wins. But I think it’s 50-50." Injury problems have hampered Nurmagomedov's progress in the UFC and with Tony Ferguson defeating former champ Rafael dos Anjos last weekend many pundits believe the American is now the number one contender. 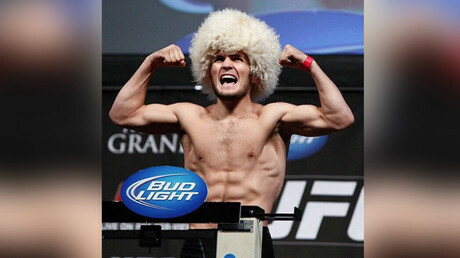 Nurmagomedov told SunSport he was frustrated that the UFC continually overlooks him when title fights are made. "I think I agree with the rankings – but the rankings are bulls**t," he said. "Because I'm number one ranked and the UFC don't give me the title shot. "UFC give [the shot to] number two, and maybe after this fight the UFC do this decision [again] and give it to number two, or maybe I jump back to number-one contender [again]. Nobody knows. "All the time the UFC make money decisions. They're not true decisions, they're money decisions. This is no more [a] sport, this is business. "When I came into the UFC first time, when I signed in 2012 it was still sports. "I don't think this is no more [a] sport. This is business." Despite his frustrations, Nurmagomedov is excited at the prospect of taking part in this weekend's blockbuster event and putting on a show for his fans. "I don’t care who I have to fight, because in New York, there are a lot of Russian fans, and a lot of Russian fans want to watch my fights," he told MMAjunkie. "They said, 'You can wait, we'll give you $100,000, and maybe if someone is injured, you'll [fight].’ But I said I didn't like it. I want to fight. "I'm ready for anybody, and I know I deserve this."